Angelos Anastasiadis, the newly appointed head-coach of the Greece national Football team, has insisted that the first thing that he is going to do is to put the belief in the Greek camp that they can do big things and they are a bunch of good Footballers. Anastasiadis has also said that he is going to make the Greek players realize that the performance of the national team means a lot for the Football in Greece. If the national team is performing well, it means the Greek Football is shining. “We need to convince the guys that they have the serious responsibility to carry the weight o all Greek Footballers and national team. 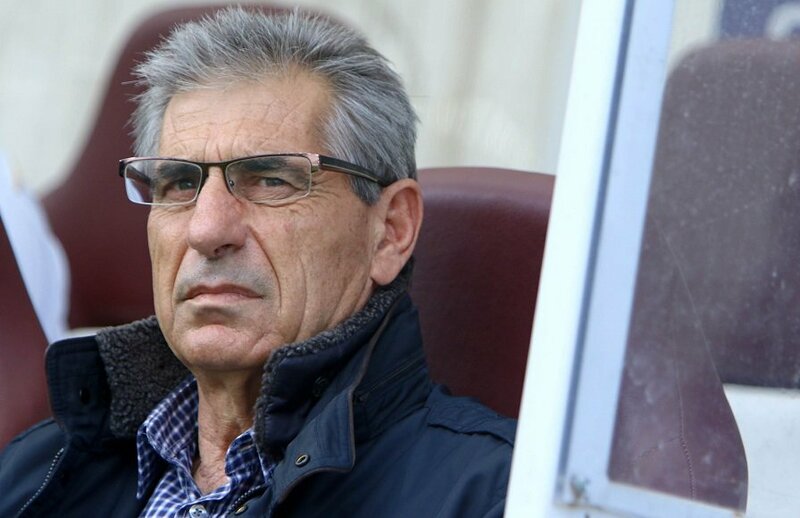 The national team is the identity of Greek Football.” Anastasiadis was quoted saying by Neos Kosmos. According to Anastasiadis, there is no dearth of talent in Greece. But it’s very important that the players believe in themselves. The more they believe in themselves, the more it will reflect in their performance. Talking about his spell with the Greek club Panathinaikos, Anastasiadis said that when he had taken over at Panathinaikos, the team was under fire. The players had to deal with severe criticism from all quarters. But he went there and told them that they have got what it takes to be the champions of Europe. Anastasiadis said that whichever club he has coached at, he has always told the hierarchies of those clubs to believe in the young players of Greece because this country has always produced some fantastic young talents and those young talents have never disappointed him at any club. “When I went to Panathinaikos, everybody was calling them losers. I told them they can win the Champions League. I always told the boards of the teams to have faith in Greek youngsters. They have never let me down.” Anastasiadis added. Anastasiadis has coached ten different clubs in Greece in the last 23 years before taking charge of the national team. He spent more than a decade in the Greek set-up as a player as well. The 65-year old possesses as much knowledge about Greek Football as anyone else.